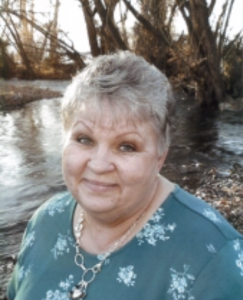 Our beloved mother, grandmother, great-grandmother, daughter and sister Tracy Ann Tate, age 66, passed away peacefully surrounded by her loving family on April 9, 2019 in Logan Utah. Tracy’s parents were Robert “Bob” and Margene Jensen Tate. She was born in Logan, Utah on March 12, 1953. Mom was raised in Randolph, Utah where she learned to work hard at a very young age by working in the hay fields during summer breaks. She loved spending time in Bear Lake at her Grandpa and Grandma Jensen’s home picking raspberries. Mom attended and graduated from South Rich High School where she excelled in academics and cheerleading. Tracy married Allen Cornia on August 20, 1971. They were later sealed in the Ogden Utah Temple. They were blessed with 4 children. They were married for 35 years and later divorced. Mom was an amazing homemaker and loved to bake and cook for everyone. She was also a bus driver for the Rich School District for 30 plus years where she treated and loved every student as if they were her own. Mom later moved to Logan, Utah where she was fortunate to meet many new friends. Mom was preceded in death by her father Robert James Tate, a sister-in-law Ingrid Tate, maternal grandparents Frank and Maureen Cook Jensen, and paternal grandparents James Tate and Elgie South Larsen. She is survived by her mother Margene Tate, her 4 children Amy (Mike) Downing, Chad (Tracy) Cornia, Van (Jaime) Cornia, and Wade (Lori) Cornia, 13 grandchildren, and 5 great-grandchildren, her sisters Bobbi Johnson, Kelly (Wally) Orton and her brothers Frank (Karla) Tate, and Gordon (Roxanne) Tate. There will be a viewing held Sunday April 14, 2019 in Logan, Utah at Nyman Funeral Home 753 South 100 East Logan, UT 84321 from 6 to 8 pm. Funeral Services will be held Monday April 15, 2019 at the Woodruff Ward LDS chapel in Woodruff, Utah at 12:00 pm. There will be a viewing prior to services from 10:00 to 11:30 am. Interment will be in the Randolph Utah Cemetery.